You are currently browsing the tag archive for the ‘extreme fundraising’ tag. The other morning I was banging around Shockoe Slip and Bottom taking photos when it occurred to me that I could run a couple of blocks west on East Cary to get up close and personal with the SunTrust building, the 400ft. building I and several dozen other people will be rappelling down Oct 22 and 23rd as a part of Virginia Special Olympic’s Over the Edge Richmond extreme fundraiser. That's a lot of feet. I rappelled 90 ft. off a building when I was in high school, and a few times on canopy tours, and once right here in Richmond after treeclimbing with Riverside Outfitters but 400 feet is many more feet than I can get my brain around, much less the rest of my body on board. This past Wednesday, as a part of the Virginia Center for Architecture’s architectural walking tour series, Look Up! , I saw the, in architect-speak, “extreme verticality” of the Central Fidelity Bank on Broad St. It’s less than 300 ft. Gulp. You probably already know this, but it’s not a good idea to start a new business, sell your mother’s house, do some writing, get involved with a new 501c3, go on vacation, push your new book, dabble in social media, and get the floors refinished in one’s home office at the same time. It might push someone over the edge. Actually, it has. Virginia Special Olympics has this crazy, fun fundraiser, Over the Edge , October 23rd in downtown Richmond where people who raise $1000 for Virginia Special Olympics get to rappel 400 feet down the SunTrust building. They are so lucky! And so am I. I’ll be freelancing for Richmond Magazine–doing blog posts and such as we get closer to the event. 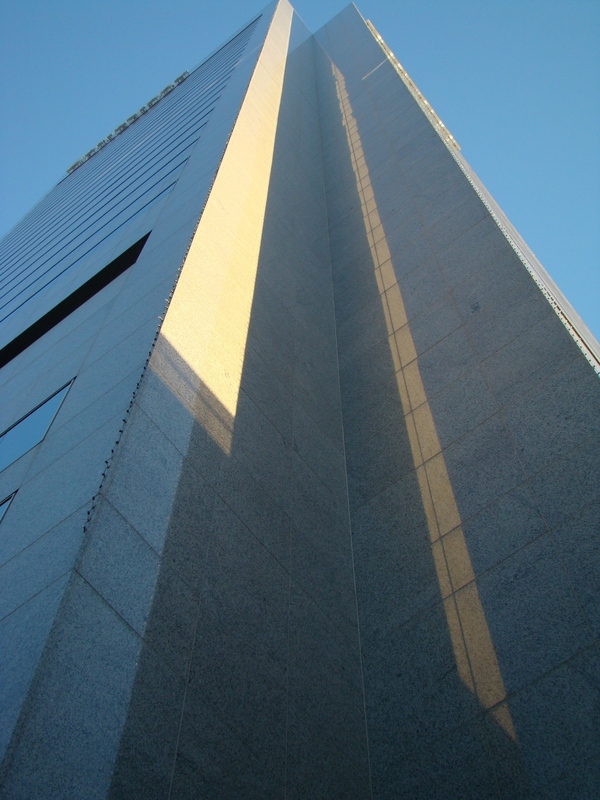 Then, on October 22, I get to rappel down the building–26 stories and then some. Can’t wait! It’s impossible to watch the video of folks, especially an amazing Special Olympian, go over the edge last year and not be in awe. Having no fear is unrealistic. Letting fear stop people of all abilities from finding out what they’re capable of– that’s the thing to be afraid of. Thanks, FDR. I’ve rappelled a few times before–though 90 feet is as high as I’ve started. On the one hand those experiences make me feel confident. 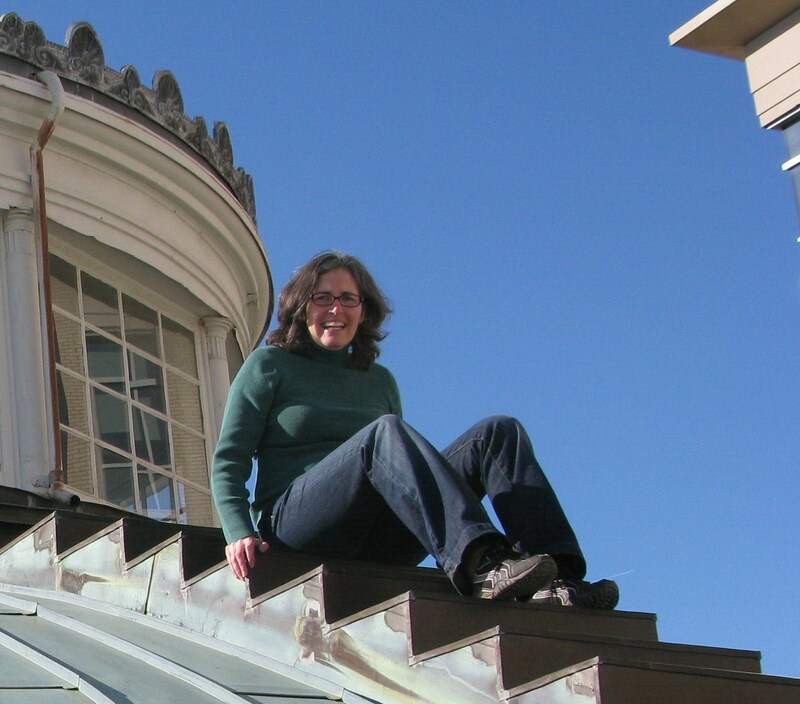 On the other, let’s remember how I looked earlier this year atop Monumental Church. There will be ropes and harnesses several hundred feet higher, right? It’s quite possible that social media will be my downfall, one way or the other; I learned about Over the Edge on Twitter.